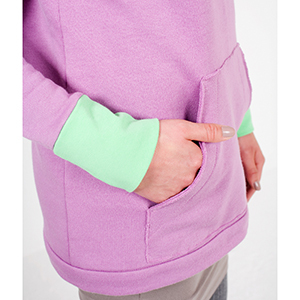 Iris is a very comfy hoodie with a kangaroo pocket. Can also be sewn without hood. Note: Size chart is in EU sizes. 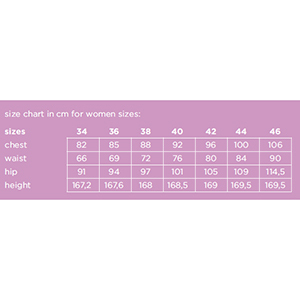 Suggested fabrics are sweatshirt fleece, french terry, cotton lycra, or cotton jersey.